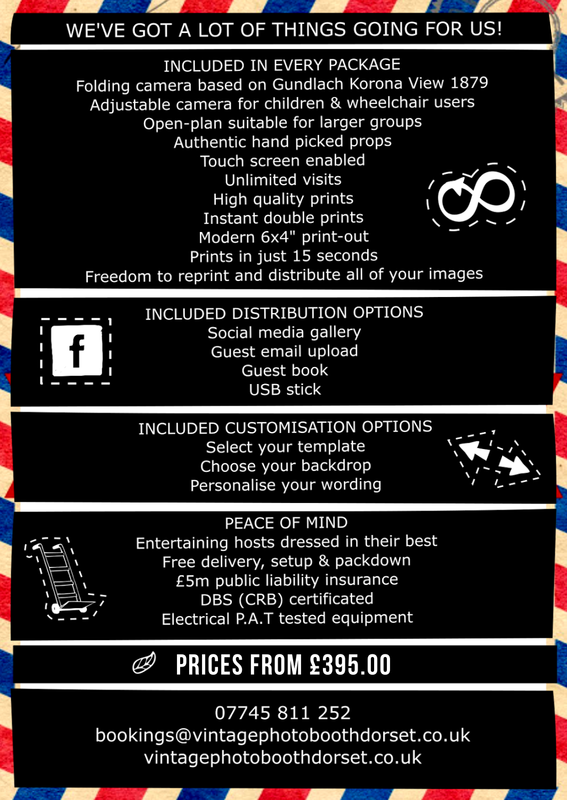 How much does it cost to hire Vintage Photo Booth Dorset? 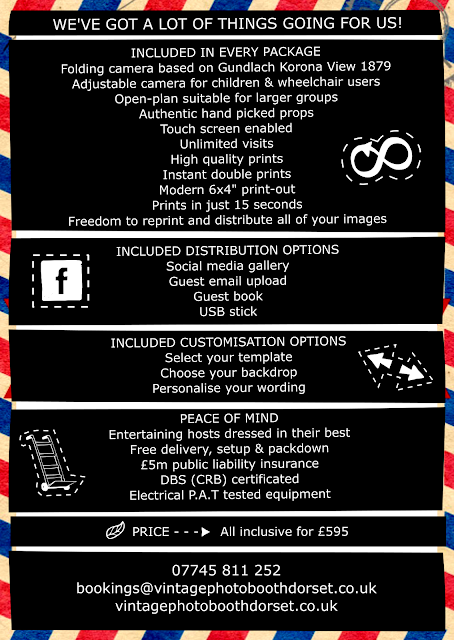 See whats included in our fabulous photobooth package in the image below . . . Contact us today and we can let you know if your date is still available. 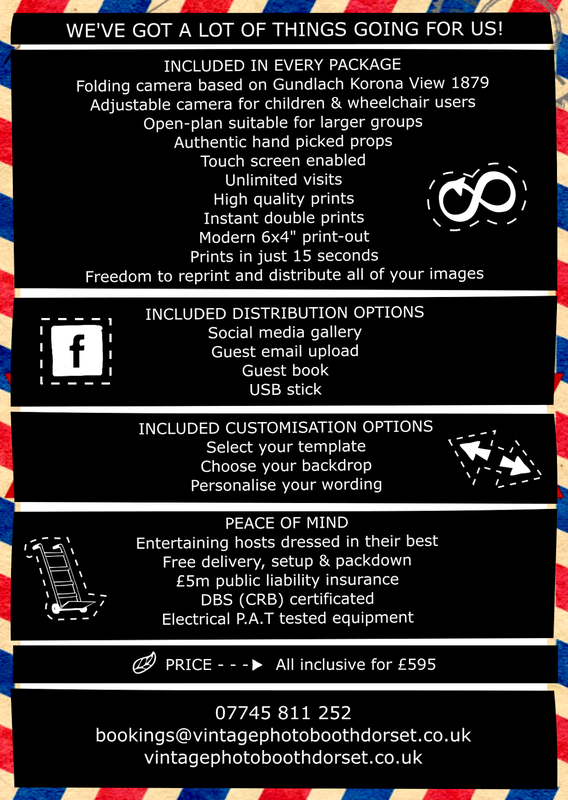 Our photo-booth covers all of Bournemouth, Poole and Dorset but we can also travel most of the South of England. 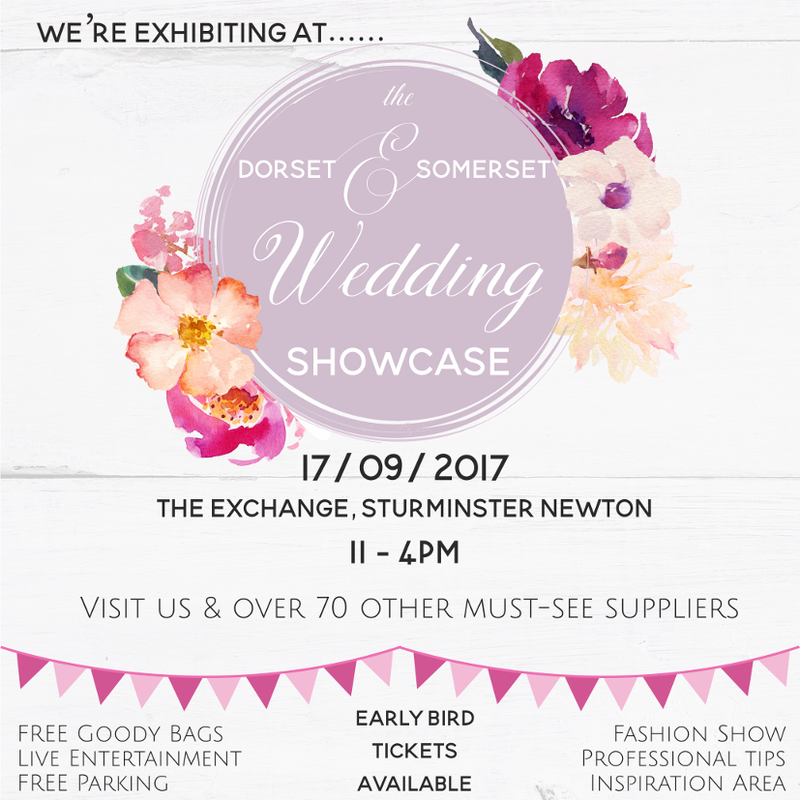 Our photo booth will be live at this fabulous wedding fair. This is a great opportunity to meet the team behind Vintage Photo Booth Dorset, handle some of our fantastic props, and see for yourself why we are one of the best photo booths for your weddings entertainment. Vintage Photo Booth Dorset chats to Bridal Reloved live on Feature Friday. 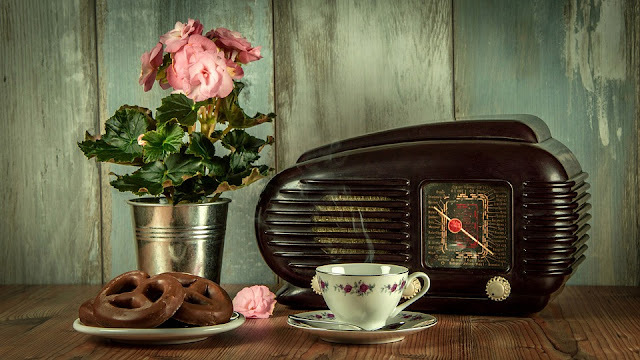 Here at Daisy Roots, we have been having a ball enjoying the summer weddings we have been attending and to top it off, we are super excited to be invited to take part in Bridal Reloved - Feature Friday. This is an opportunity to meet the team behind Daisy Roots and find out a little more about what we do. Part of the Bridal Reloved Franchise, an award winning chain of bridal boutiques selling pre owned, ex sample and some new designer wedding Dresses. If you are looking for a beautiful wedding dress, these are the people to see. 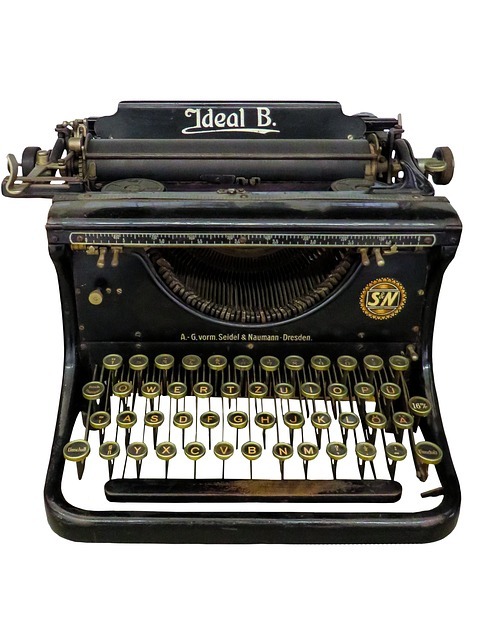 What are Bridal Reloved contact details? 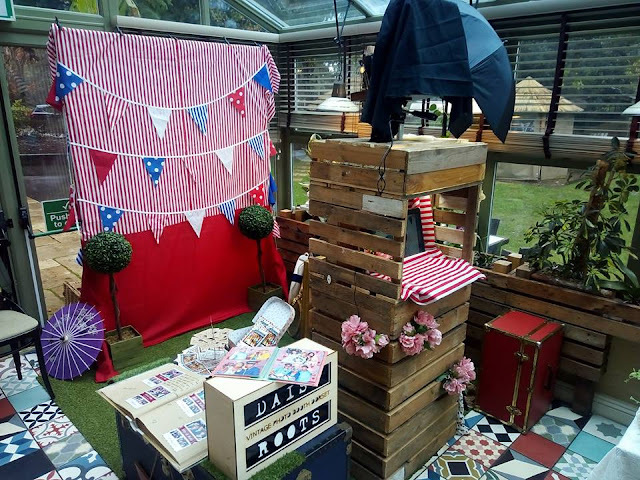 ​​The South's finest open-plan photo booth with real vintage props, an adjustable camera to capture adults and children of all height and an accommodating space for wheelchair access. All run by passionate hosts with their hearts in the business. Don't forget to share the love with all the brides & grooms to be! Facebook Reviews . 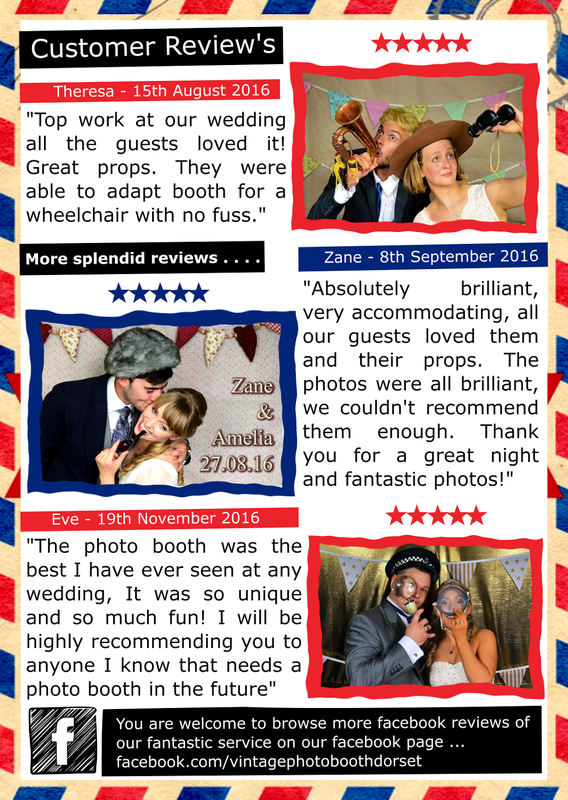 . .
"Absolutely brilliant, very accommodating, all our guests loved them and their props. The photos were all brilliant, we couldn't recommend them enough. Thank you for a great night and fantastic photos!" "Top work at our wedding all the guests loved it! Great props. They were able to adapt booth for a wheelchair with no fuss too." "The photo booth was the best I have ever seen at any wedding, It was so unique and so much fun! 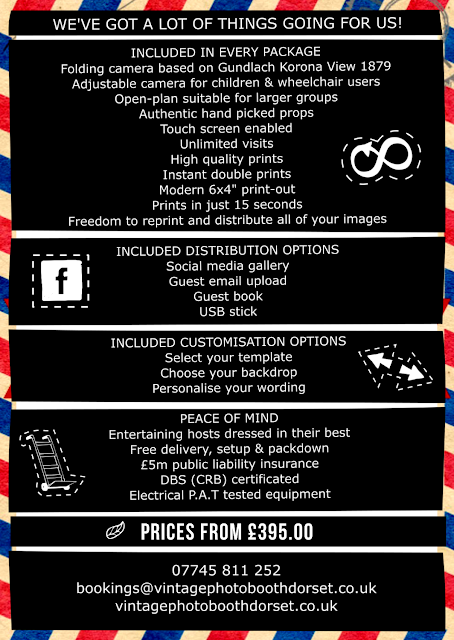 I will be highly recommending you to anyone I know that needs a photo booth in the future." Our Diary is filling up fast! 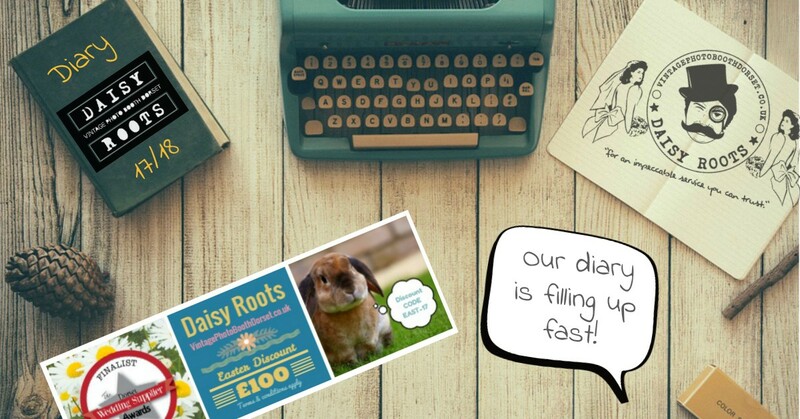 Here at Daisy Roots we don't like to disappoint, that's why we are taking the time give this shout out! We only have one unique vintage photobooth and once a date has been secured by the lucky couple . . . It can't be booked by anyone else. That's why we always advice you to book your photo booth A.S.A.P as our diary is already filling up for the 17/18 season.